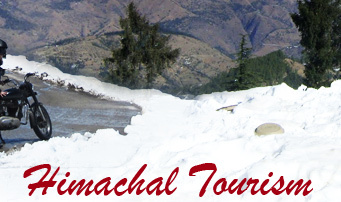 Chail, a delight for the tourists in every season looks charmingly green in summer, captivating in its cover of gold and russet in autumn, and its snow-white mantle a perfect ruse to cast a spell. Located in the small northern state of Himachal Pradesh, with the beautiful Shivalik range in the background, Chail was once the summer capital of Maharaja Bhupinder Singh of Patiala. In 1891, the Maharaja incurred the wrath of Lord Kitchener who banned him from entering Shimla, the summer capital of the Raj. To avenge this dishonour, the Maharaja decided to build an even better capital and he discovered Chail to be the perfect place. 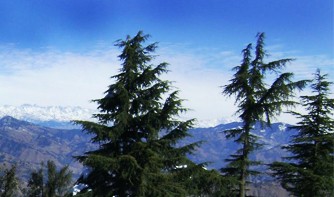 Chail is a small, but beautiful village with a dozen small shops. 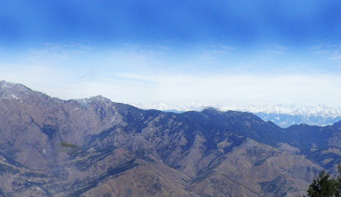 From the village, it has a magnificent view of the Himalayas, with the Sutlej River winding its way through the mountains, and Shimla and Kasauli below in full view. Chail is built on three hills; the Palace of Maharaja Bhupinder Singh is on Rajgarh Hills. 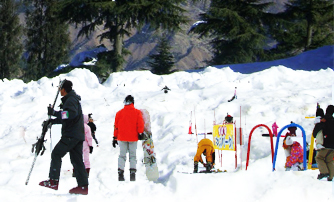 the Residency Snow View, once occupied by British residents, is on Pandhewa Hill and Sadh Tibba is on the third hill which has the township of Chail. One must not miss the world's highest cricket pitch, doubling as a Polo ground at 2,250 m, which the Maharaja build after leveling the Top of a hill. What a fantastic view of the surroundings from here. The Sidh Baba ka Mandir is the temple of a saintly person who told the Maharaja in his dreams that he had meditated at that spot. Instead of building his palace there, the Maharaja made a beautiful temple in its place. Three kilometers from Chail, in the thick dense forest, is a wildlife sanctuary which can be of interest for nature lovers. Angling can be done at the Gaura River, which abounds in mahseer. 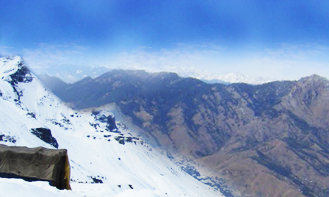 Trekking can be done from Chail to Rajgarh and Chail to Shimla via Junga or you can take the Kandaghat-Chail route. However, if you do not want to trek, you just take a walk in the forests, so refreshingly quiet and cool on a bright sunny day. 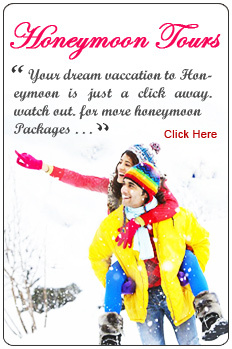 By Air : The nearest airport is 22 km from Shimla and is connected by regular flights to Delhi and Kullu. By Rail: The nearest railhead is Kalka from Shimla. 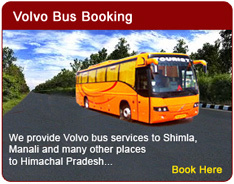 You can reach Kalka from Shimla by the Kalka-Shimla toy train. The train passes through thick forests, dark tunnels, bends and ravines. 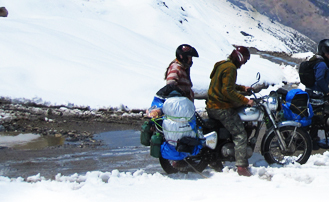 By Road: Delhi is 375 km from Chail, Shimla-45 km and Kalka-90 km.